In the heart of Wichita flows the scenic Arkansas River, a centerpiece of the city that connects all it surrounds. In the heart of Wichita flows the scenic Arkansas River, a centerpiece of the city that connects all it surrounds. As you follow the river's path you will encounter five entities that have grown from this wellspring of life; the Museums on the River, comprised of Botanica, Exploration Place, Mid-America All-Indian Center, Old Cowtown Museum and the Wichita Art Museum. Botanica, The Wichita Gardens is comprised of over nine acres of stunning gardenscaping that features more than 4000 species of plants both native and new to the region. Twenty-five themed display gardens such as the Butterfly Garden, Shakespearean Garden, Sensory Garden and Wildflower Meadow combine with 20 sculptures and multiple flowing fountains to create a visually stunning atmosphere. Seasonal exhibits such as the Tulip Display, Butterfly House, Chrysanthemum Display and Illuminations add enjoyment and excitement to the Gardens. Explore the Gardens simply for your viewing pleasure or to take home inspiration for your own backyard. With ever-changing scenery, educational classes for young and old, rental facilities for functions of all sizes and special events to entertain and amuse, we invite you to visit Botanica often and take advantage of all that the Gardens have to offer! Discover Exploration Place as you experience your world in a whole new and fun way on this 20-acre site. Experience hands-on exhibit areas designed for all ages that focus on flight, Kansas, medieval life in a three-story castle, imaginative spaces for young children and a special traveling exhibit area. In the CyberDome Theater, travel to faraway destinations and embark upon unforgettable adventures in the state's largest digital dome space planetarium. Take a breather in the great outdoors at Exploration Park's picnic grove and adventure play yard. And finally, test your putting skills during the summer at the 18-hole, unconventional MiniGolf course. Other amenities include free parking, Explore Store, WaterWay Café and Terrace, and family restrooms. 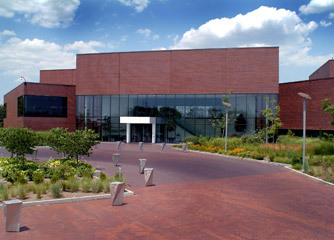 The Mid-America All-Indian Center serves as a cultural center and museum dedicated to educating people about and preserving the heritage of the American Indian. The Indian Center is a multipurpose facility; it houses a newly renovated museum, a Gallery of Nations for special events and a gift shop. The Indian Center Museum preserves and showcases the heritage of the Native American Tribes of North America. Exhibits of traditional artifacts and contemporary art depict the Native American cultures of the past and present. At Old Cowtown Museum you don't just see history, you live it! Cowtown engages visitors in a hands-on experience of an 1870s Cattle Town. A blending of historic structures, period artifacts, livestock and costumed history interpreters provide an authentic experience discovering the past. Visitors can take a wagon ride, watch as the blacksmith labors in his shop or enjoy an ice cold sarsaparilla in Snitzler's Saloon...but they should be prepared to duck as gunfire erupts in the streets! Cowtown also offers a gift shop featuring Kansas made products as well as a variety of unique rental spaces. Group rates and tours are also available. As the largest art museum in the state of Kansas, the Wichita Art Museum houses one of the country's finest collections of American art, spanning three centuries of painting, sculpture, works on paper, and decorative arts. Masterpieces by Mary Cassatt, Winslow Homer, Horace Pippin, Edward Hopper, and Charles M. Russell are among the nearly 7,000 works in the permanent collection. Additionally, an important and expanding glass collection is a significant component to the overall collection. The Museum features a family-friendly interactive area called The Living Room where visitors can create their own works of art; a unique Museum Store featuring one-of-a-kind jewelry, and a selection of children's gifts and work by area artists.